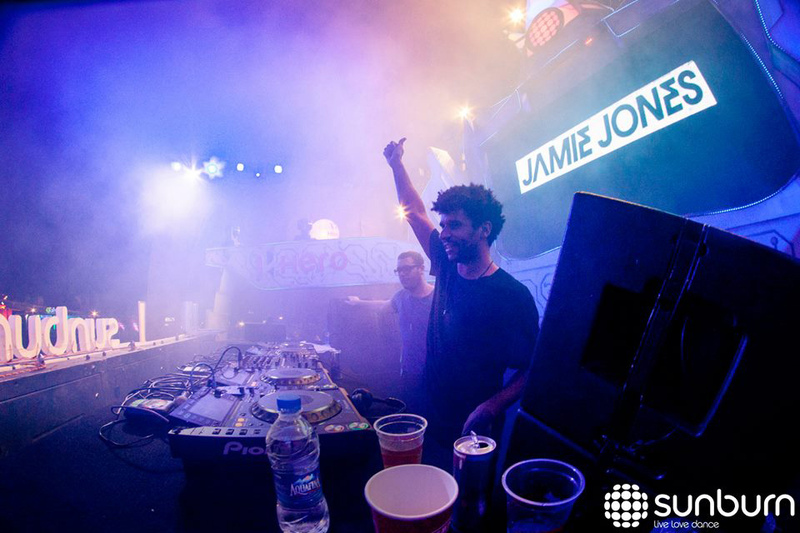 SOUND.COM, the leading provider of sound reinforcement and turnkey audio solutions, was chosen as the sound rental partner at the 8th edition of Sunburn (December 27th – 29th) 2014 at Vagator Beach, Goa. 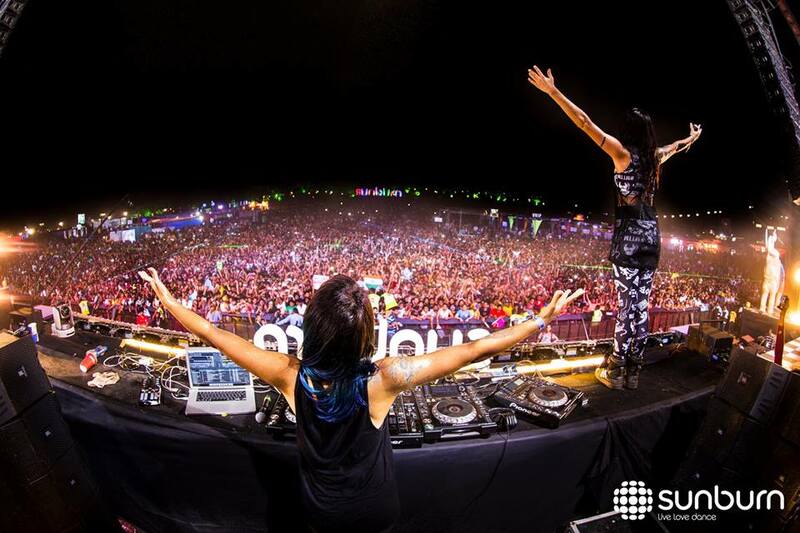 Sunburn Goa, over the years has gained immense popularity as Asia’s largest Electronic Music Festival. The festival also known as ‘one of the wonders of the clubbing world’ is a property of Percept, an Entertainment, Media and Communications company and features multiple stages with artists playing simultaneously. In 2014, the festival hosted the largest stage ever constructed in Asia. The line-up with 120+ artists, and 200 hours of music included Dimitri Vegas & Like Mike, Knife Party, Sander van Doorn, Sasha, Krewella, Baauer, Danny Avila, Head Hunterz, Deniz Koyu, Dubvision, Paul Oakenfold, Matthew Koma, MAKJ, New World Punx, Michael,Tarzan Woods and many more. “For Sunburn, the year 2013 was all about re-inventing the brand and as far as audio experience goes, there was no other choice but SOUND.COM.” explained Emran Khan, Production Director, Sunburn. 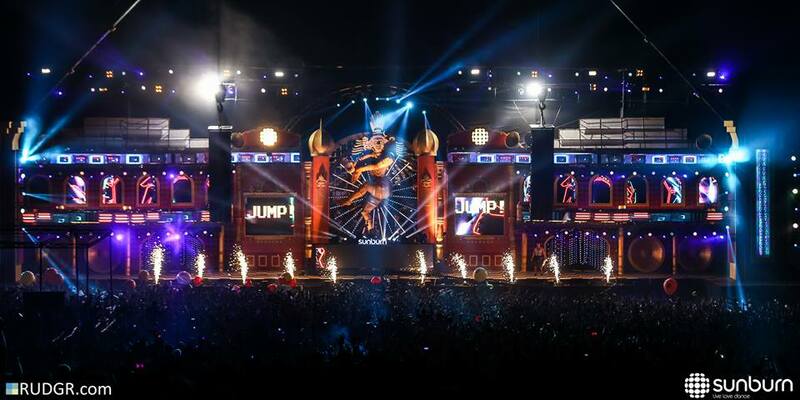 “It was the year we launched the Mega stage concept at Sunburn Goa, and designed a 130 ft wide stage. Sound designing for this stage was very crucial as we had to place the main PA at 30 ft distance either side, from the center. We definitely did not want to use scaffolding to rig the sound- for maintaining the design. After a lot of thought and discussions, we came up with the idea of flying the sound using 2 heavy weight cranes. It was an expensive decision but was required to match the creativity of the stage look; and also to achieve audio design most apt for the kind of terrain, and number of people who gather during the headliners. Warren and the SOUND.COM team gave us the perfect audio rigging and design solution.” he added. SOUND.COM successfully deployed complete audio solutions across two of the massive stages set-up for the festival, namely - Dance Temple(Main/Mega Stage) & Cubezoid. These stages were individually dedicated to different genres of electronic dance music like Dubstep, Psy Trance, House, Tech House, Electro etc. Catering to thousands of attendees from across the world, the highlight of the 2014 edition was the live feed of the festival that was available to millions, online. Another first was that the festival was also extended for an additional day, beyond the scheduled three days. This was called a 'Sunburn Surprise', and the audience were again treated to some pulsating sets by world leading - DJs Dimitri Vegas & Like Mike, with Anish Sood, Lost Stories, Shaan, Makasi and others. The venue also offered a host of other activities like stunt-biking, zorbing, volleyball and bungee jumping providing for a 360- degree sonic experience. Dance Temple: Over 200 feet wide, the biggest stage in Asia featured many headliners. 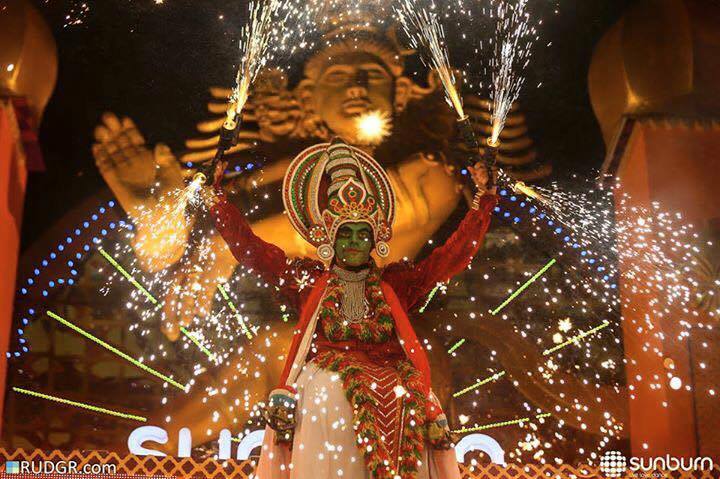 The mega stage with a massive replica of ‘The Dancing God – Nataraja’ in the background was the highlight of the entire festival. “The magnificence of the stage design at the Dance Temple Arena was slated to be second to none, and almost gave the most architecturally superior structures a complex. This year we had an all JBL VTX line array affair for a stage of this scale. I personally enjoyed integrating the sound system for this massive stage and was totally amazed by JBL G28’s ability to reproduce EDM low frequency like no other product in this country.” said Warren D’Souza, Founder & Managing Director, SOUND.COM. The JBL G28 subwoofers that debuted at this festival has raised the bar in the low frequency emotion that was created for the festival punters. Having said that, this year the JBL VTX V20 occupied a prime spot at the delay and DJ monitoring positions. The JBL VTX S25 provided perfect companion to these systems. 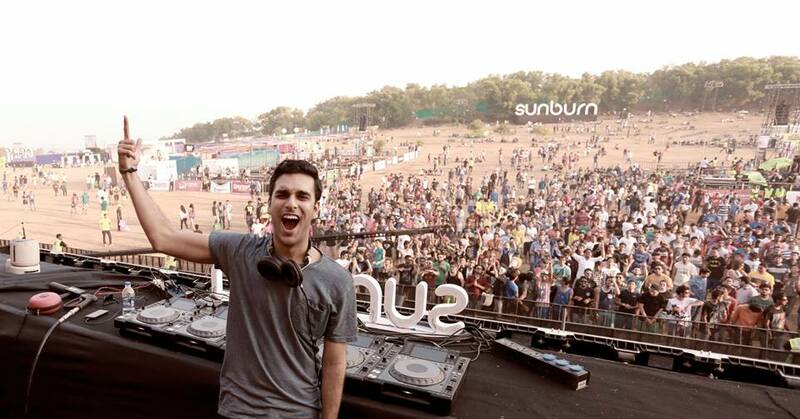 Elaborating on the requirements for the massive stage and the end result, Agarwal of Sunburn added, “Warren and his team were also able to make swift changes required on the Main stage during the last minute – be it adding more subs or accommodating additional requests, only to deliver the ultimate sound experience, befitting a music festival of international standards." Cubezoid stage- This iconic stage provides a multi-sensory experience that combines world-class LED Lighting, with a high octane infusion of space and sound and evolves every year with variety of LED and lighting setups and state- of –the- art content. This year, the Cubezoid was based on hexagons and isometric cubes and was designed to immerse the viewer into virtual three dimensional space. Additionally, SOUND.COM also handled the sound reinforcement for few other themed stages at the festival namely – Techno Stage (this stage was outfitted with 24 JBL VT 4888, 16 JBL VT 4880 & 6 JBL VRX 932 LA). The other smaller stages include Live Stage, Bar Stage and the Artist Village.